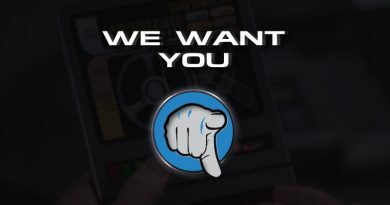 Another year at Star Trek Las Vegas and another MAJOR announcement. After more than 20 years away from the franchise Sir Patrick Stewart is set to return to the Star Trek universe, Stewart will reprise his historic role as Jean-Luc Picard, for a CBS All Access series. 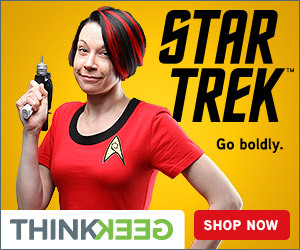 Will tell the story of the next chapter of Picard’s life. He may not be a Captain anymore, and you may not recognize him. 20 years will have passed. No scripts yet, just talking storylines. It will be very very different from what we know, but it will come with the same love, exactly as we had it before. The show will be on CBS All Access – NO AIR DATE SET YET. 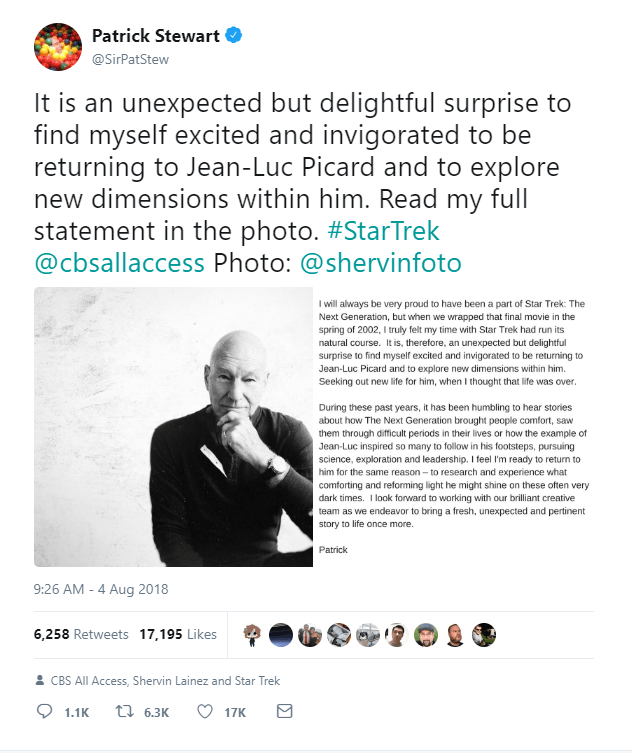 Sir Patrick has been rewatching TNG in the last six months, helped him reconsider his stance on returning to Star Trek and this is helping him prepare. Star Trek: Discovery showrunner Alex Kurtzman will be an Executive Producer on the new series, as this show will fall under his new “Extended Universe” deal he struck with CBS recently. Currently, CBS is not announcing any further information, such as the series title or synopsis, however, as soon as we hear anything we will update you. 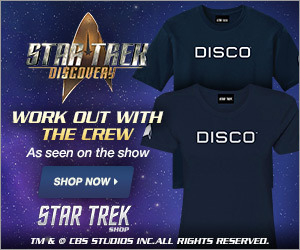 Star Trek: Discovery returns in January 2019, you can view the entire first season of Discovery on CBS All Access (USA), Space (Canada) and Netflix (Rest of the World).